The PIP (Project for Innovative Poetry) was created by Green Integer and its publisher, Douglas Messerli, in 2000. The Project publishes regular anthologies of major international poets and actively archives biographies of poets and listings of their titles. 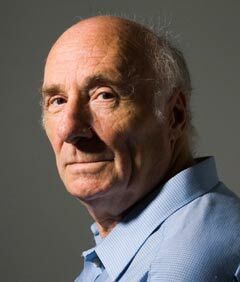 Born on December 5, 1932 in Caluire-et-Cuire, France, Jacques Roubaud is a noted poet and fiction writer, a member of the famed OULIPO (Ouvroir de littérature potentielle) group. Already at the age of 12, Roubaud was encourage by the noted writer Louis Aragon to publish a collection of poetry, Poésies Juvéniles (Youthful Poems). In 1952, his second collection, Voyage du soir (Evening Journey) was published. Because of his hatred for exams, Rouboud dropped out of his preparatory classes for the entrance exam for Écoles Normales Supérieures, yet today he is a professor of poetry at the European Graduate School in Saas-Fee, Switzerland, and a professor of Mathematics at the University of Paris X.
Roubaud has published numerous books of poetry and fiction. In his fiction, particularly, Roubaud takes the Oulipian use of constraints to the extreme, particularly in his Hortense novels, La belle Hortense, L'exil d'Hortense, and L'enlèvement d'Hortense, as well as other works such as Le Grand Incendie de Lonres (The Great Fire of London), the latter an autobiographical-like work that embraces hypertext. Many of his works of fiction have been translated into English, published by Dalkey Archive Press. Roubaud's poetry also includes highly structured works such as rengas, sonnets, and sestinas. His book of essays on poetry, Poésie,etcetera: ménage was published in English by Green Integer as Poetry, etcetera: Cleaning House. Roubaud also translated Lewis Carroll's The Hunting of the Snark in French. He has been the recipient of several prestigious literary prizes such as the Grand Prix National de la Poésie (National Prize for Poetry) in 1990 and in 2008 the French Academy Grand prix de littérature Paul-Morand (Paul-Morrand Prize). In 1999 Roubaud was awarded The America Award for his contribution to International Writing.